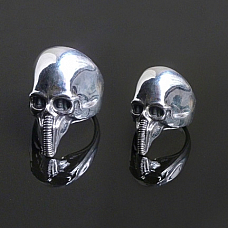 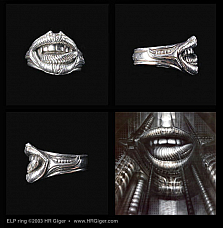 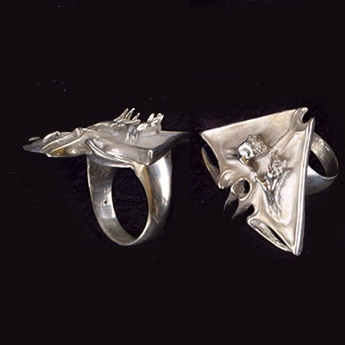 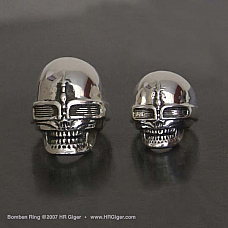 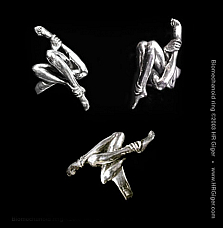 The design of this ring is based on Giger's 1967 sculpture. 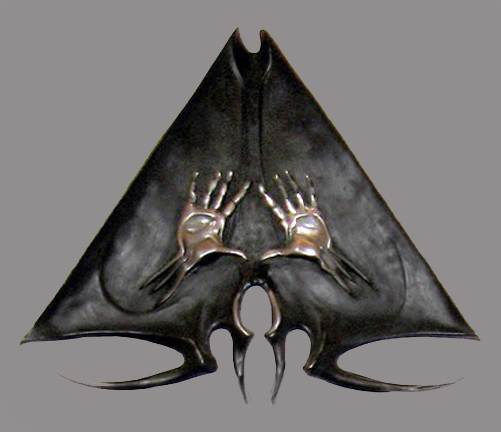 The original wall sculpture measured 63 x 80cm and was produced, at first, in polyested, then later in metal. 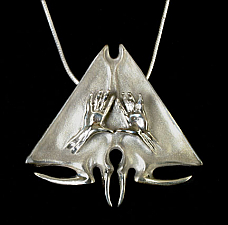 This background information is provided only to explain the design origins of this pendant, which is also available as a beautiful belt-buckle and as a pendant.